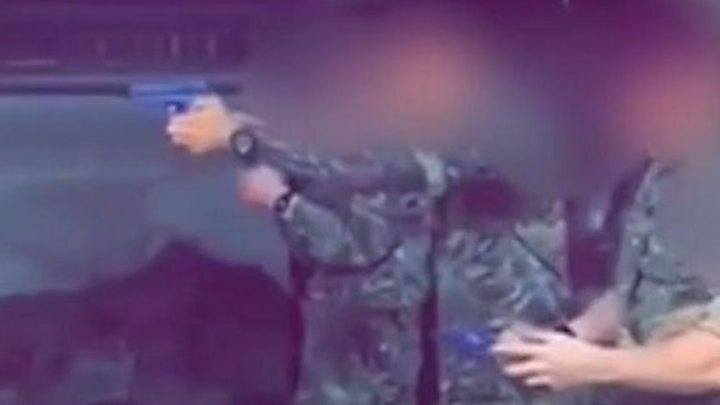 A video appearing to show soldiers firing shots at a Jeremy Corbyn poster for target practice, showed a serious error of judgment, an Army chief says. Labour called the behaviour alarming but said it has confidence in the Ministry of Defence to investigate. In the short clip, four paratroopers in uniform appear to use a large portrait of the Labour leader for target practice. He stressed the Army was and always would be an apolitical organisation. The emergence of the video comes at a time of heightened alarm about the safety of MPs as tensions rise over Brexit. It is not known when the footage was filmed. It is believed the clip first circulated on Snapchat before being posted on Twitter.